Welcome to the official topic for Goggle Animations! This is the headquarters for the project that I've hinted at here. 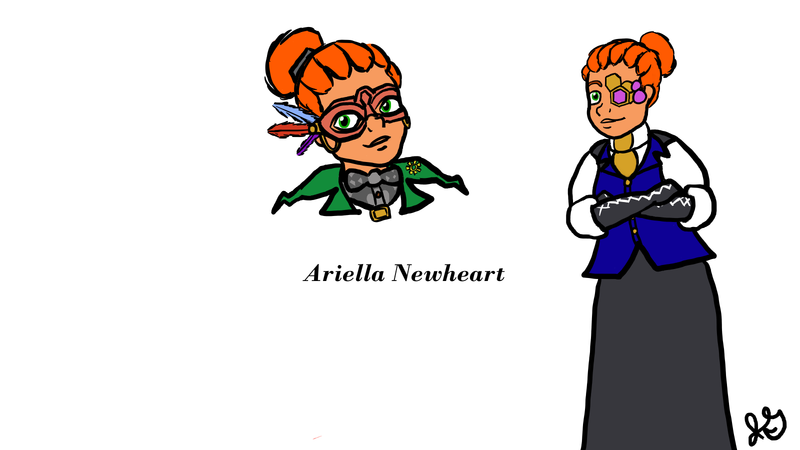 I'm an avid animation fan as well as an Aetherlight fan, so I wanted to combine the two! My goal is to create either an animatic or a fully animated series/movie that depicts a role-play. I will be posting its progress here as well as any other updates. I know that a lot of you on forums has a passion for art, and I'd like to ask for your help! Rome wasn't built in a day, and neither was it built alone. The same goes for animation. If you want to be a part of this and want to help make it happen, check out some of the positions that need filling below. My only requirement is that you have the time and patience to do this, as this will be somewhat of a creative commitment. I will also be working as director with everyone who applies. -We need a story! Perhaps you want to write a new role-play, or you already have one, that you'd like to see come alive. -These are three individual jobs, but they are very similar to each other. When the work is divided evenly, it gets done quicker. Having someone do the line-art, another the color, and another the shade helps speed the process! -Do you specialize in backgrounds? We need an artist to paint the scenes! -Do you write music? We need a composer to musically paint the scenes! -Have you had prior experience in editing videos? This job will help bring everything together as well as add any needed special effects. -Have you had prior experience in animating? If you are interested in this position, let me know as we might need a few more animators if necessary. Thank you so much for checking out this topic! If there are any questions or concerns, please do not hesitate to ask! As per usual, please try to avoid posting anything not related to the project here. Is it going to be 2D or 3D? Good question! While I admire 3D, this will be 2D. Good, ‘cause there’s no way I could help with 3D I’m assuming we vote for what we can do correct? Okay. I can only do 3D Minecraft animations, so that's a no. However, I can do 2D animation, and I can draw... right? Can I? Your opinion. @May_Otterview, yes, you vote on any position(s) that you would like to do! @Cinnar_Ratchetloop of course, I love your chibi style! As this post implies, though, I am hoping to go for the style as seen in the picture. I am open to other options, but I feel like a semi-realistic yet cartoon-y feel would go best. If you feel like you could adapt to it (as well as anyone else who is interested), I'd love for you to join! I could try- cause honestly, this expensive Wacom Tablet has to come to use! However, a catch- I'm not exactly used to animating with a certain other style. @Jane_Gogglerubble, I can work with just about any style if I only do coloring or special effects... etc. @Cinnar_Ratchetloop, I have no doubt that whatever you make will be good--just give it your best shot, cause that's all that any artist does anyway. I also just got a Wacom! It's partly why I'm able to do this project in the first place. The number of frames is something that I'm hoping to have determined as the project progresses. I think we should start with the key frames, and if we have the time, to go on and do individual frames. As you said, this will make it look super smooth, so I'd like to see it be the end product. But we are just starting, so it's probably best to take baby steps first. Yeah... I mean, I'm not a huge pro. I don't even have a perfect software to use. Keyframes should be good for now, however, I'm still not too good at them. This idea is wonderful @Jane_Gogglerubble! I wouldn't say I'm the best writer, but I can improve! Basing the first few scripts off role-plays might be a good idea, just so we can get the hang of things. That is such an awesome drawing! I don't think I could do anything that good, but I can make decent landscapes/backgrounds if you have need. (See my past Aetherlight fan art to get a feel of how I draw.) I really hope I will be able to take part in this. The idea holds great potential. What kind of backgrounds would we have to make? Because I’m not really that good of an artist, but I’ll try! This is just an experiment! Did anyone else notive that the mouth is moving ? I was looking at this topic and saw a bit of movement, so I went down and looked closer at the picture of @Ariella_Newheart and it was moving. But what if I was the clone of Cinnar speaking now? OR MAYBE I'M HER BROTHER? I still haven't found an animating program yet... Buuuuut I'm praying. T-T Keyframes... we should probably use them because then it's easier.